What books are good for beginning ESL students and classes? Picture dictionaries are good for beginning levels. 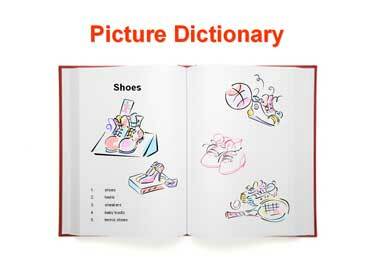 The pictures are divided into topics, and they help students understand the vocabulary words. Some publishers sell bilingual dictionaries. Do picture dictionaries have workbooks? Yes. The workbooks review and reinforce the vocabulary words in the textbooks. 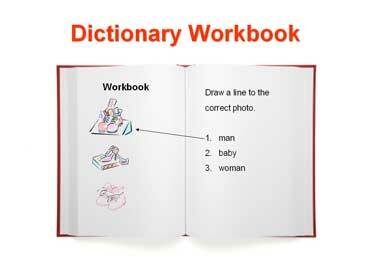 Picture dictionary workbooks have easy matching and fill-in-the-blank exercises. Copyrights to the pictures and photos on this ESL lifeskills lesson and EL Civics website belong to individual photographers. We have purchased the rights to use them. Do not copy the images on this ESL website. Permission is granted to copy any of the worksheets for classroom or home study. You may link to any page of this educational website. Contact Christina Niven, ESL teacher, at christina@elcivics.com. Please send requests for new ESL and lifeskills lessons. Copyright © Christina Niven, 2007.